Loved the apartment and how we were provided a package of products for our stay! This is a stylish and modern apartment in Barcelona, in a recently renovated building of holiday rental apartments, with a fantastic location right in the city centre. 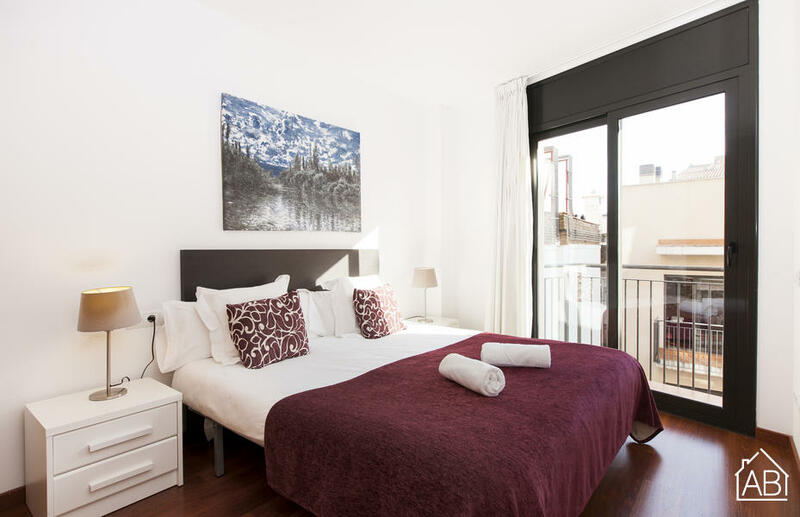 Situated in the popular neighbourhood of Eixample, this wonderful apartment is conveniently located just a short walk from some of the main sights in Barcelona, such as Plaça Catalunya, Passeig de Gràcia and Las Ramblas. You can also reach other parts of the city and get anywhere you need to go via metro and bus from this extremely well-communicated area. With 3 bedrooms and 2 bathrooms, this fantastic apartment can accommodate the whole family or a large group. You´ll find 1 bedroom with a double bed, 2 bedrooms with a single bed in each, as well as a double sofa bed, allowing up to 6 guests to stay here. You can enjoy 1 bathroom with a full bathtub-shower combination or the luxurious, massaging shower stall in the other bathroom. With your fully-equipped kitchen, comfortable living area and balcony, you can be sure to make the most of your stay. What´s more, there´s even a communal terrace with tables, chairs and sun loungers for you to enjoy. Also in this centric apartment, you´ll find plenty of modern conveniences, such as a washing machine, dishwasher, Internet connection and satellite TV. This truly is a luminous and chic home-away-from-home in Barcelona. Please note: There is a parking space available for this apartment at 20EUR/day. Please contact us to reserve it in advance..